Old Stock Adobe Illustrator Actions for CS3, CS4, CS5, CS6 and CC. 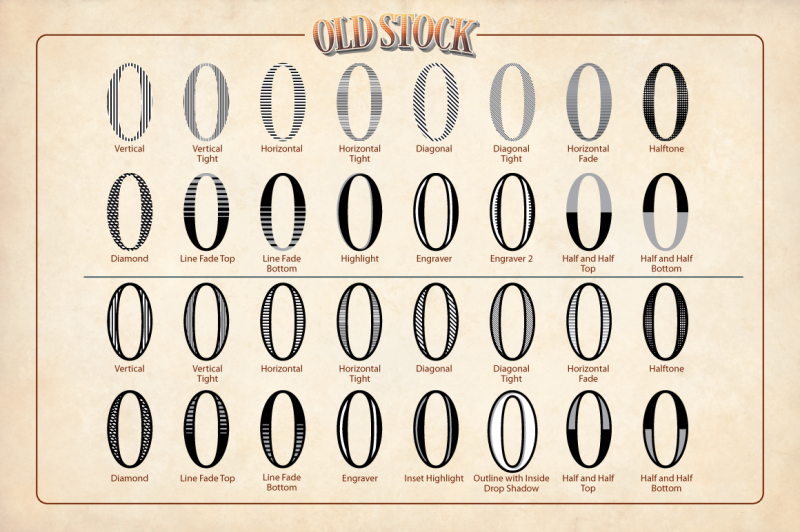 What is Old Stock? 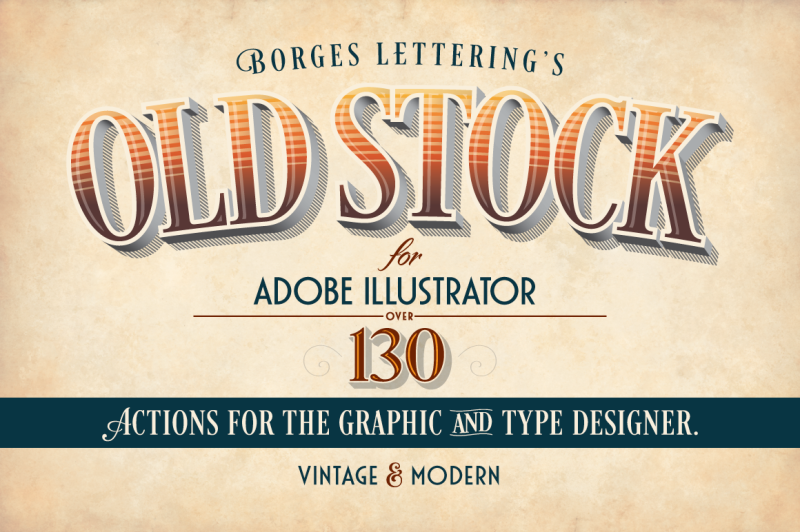 Old Stock is a set of over 130 Actions for Adobe Illustrator. They cover a wide range of vintage and modern drop shadows and fills to create beautiful and striking effects for your designs. They can be used on any vectorized type or object. 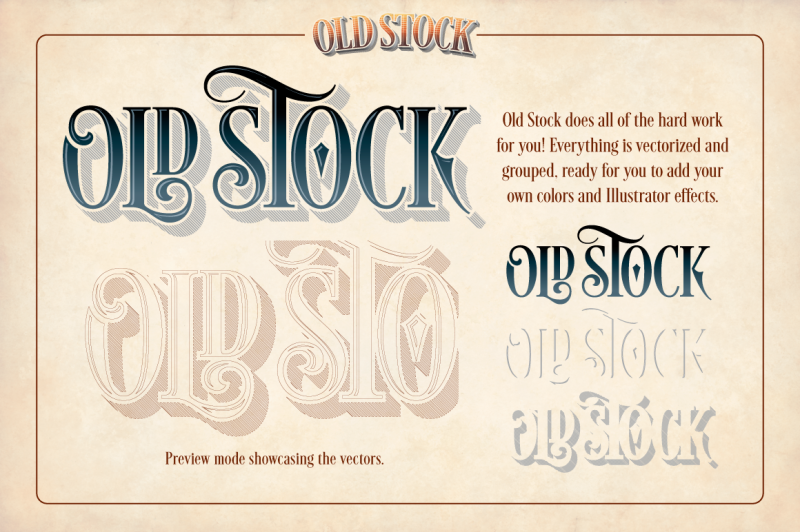 Old Stock creates the effects in vector and separates and groups the shapes for you. All you need to do is apply your own color! 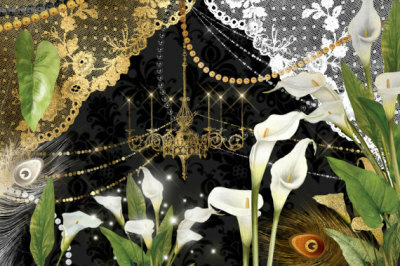 Graphic Designers- Graphic Designers will benefit from the ease of use of Old Stocks Actions. 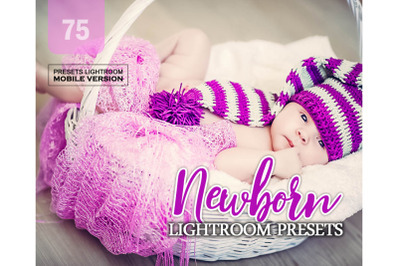 Complex effects can be effortlessly produced in record time.This offers the Graphic Designer a wide array of effects for their logos and layouts. 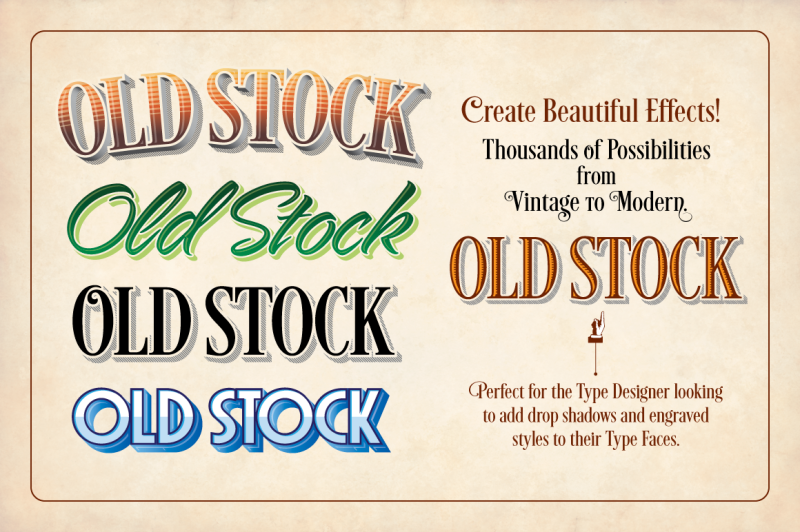 Type Designers- Type Designers can use Old Stock's Actions to add drop shadows and fills to their new or existing typefaces. Every Action is vectorized and separated for ease of use. Old Stock does all of the hard work for you! 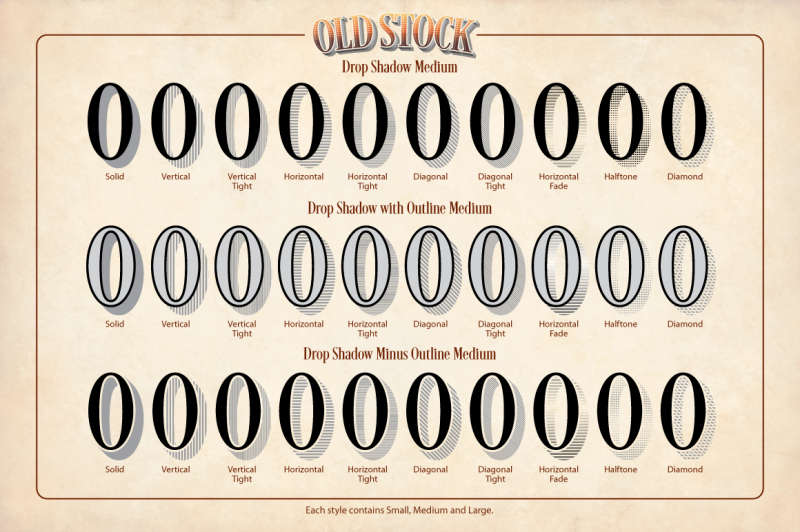 Old Stock has over 130 Actions ranging from drop shadows to fills. Old Stock Fill - 16 Actions that provide a wide range of fills. Old Stock Inset Fill - 16 Actions that provide a wide range of inset fills. Drop Shadow - These Actions produce a drop shadow that goes right up to the letter or object. Small, medium and large versions are included for a total of 30 Actions. Drop Shadow with Outline - These Actions produce a drop shadow with an outline. Small, medium and large versions are included for a total of 30 Actions. Drop Shadow Minus Outline - These Actions produce a drop shadow without an outline. Small, medium and large versions are included for a total of 30 Actions. Drop Shadow Gradient - These Actions produce a shaded drop shadow. 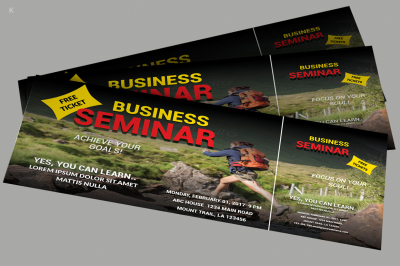 Included is drop shadow, with outline and also without outline. Small, medium and large versions are included for total of 9 Actions. Expander - Add Old Stock swatches to text or an object, and the Expander action converts the swatch into a vectorized object.